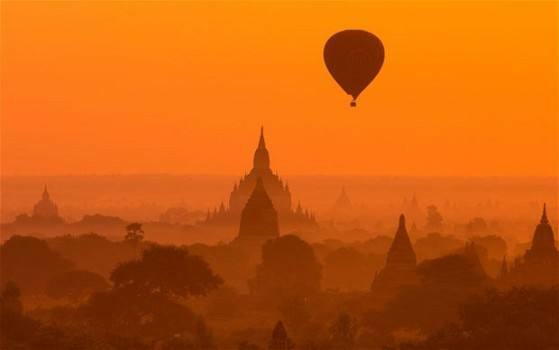 Join two of our very own club members, Jeff & Ann Gospe, as they share their recent travel adventures through once-closed Myanmar (Burma), a largely unknown place that offers incredible contrasts: Once the richest place in Southeast Asia, it is now the poorest—yet in 2015 it rank #1 as the most charitable nation in the world! 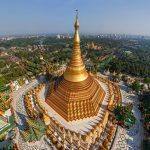 After more than 60 years of war and despotic military rule by a pariah government, Myanmar is struggling to become a democracy and is experimenting with unprecedented freedoms. In addition to visiting top destinations in Myanmar, the Gospes were able to travel into closed areas that only opened to visitors 6 months before their arrival (Google maps don’t exist and there’s no Internet!). They also visited the country’s only Rotary Club, recently re-chartered after being closed by the government in the 1970s. Jeff and Ann are eager to share the developing story of Myanmar through their personal insights and photos of its unspoiled, non-Westernized way of life. Past President Don McMillan entertained us with his Christmas carols on his trumpet as we arrived and enjoyed one of our last Wednesday luncheons at the bargain basement price of $22.00. As Bob Dylan once sang,”The times they are a’changin”! Price goes up to $24.00 next year. Presiding: President Doug asked Peter Holewinski to step forward and lead us in the Pledge of Allegiance. Richard Lasovick then gave the invocation, sharing a story of frogs in a well. The story was a parable that basically reminds us to use words of encouragement rather than saying things that might discourage others from trying their best. We were honored today to have as a visiting Rotarian Darcie Fellows, owner of Santa Rosa Gymnastics and president of the SR West Club. Guests of Rotarians today included: speaker Amy Chestnut, Carolyn Fassi, and Bill Crowley. Eileen Carlisle shared that Dan Schell is doing much better and would have been at today’s meeting except he had another appointment. Jack Abercrombie continues to recover from pneumonia, but is not out of the convalescent hospital yet. Brandon Ulrich presided over the raffle which now has over $575 in the pot. Several tickets were drawn for alternate items. Rich de Lambert won a gift package of some kind and Ann Gospe picked the wrong number (she went with 13 which wasn’t so lucky after all!) and walked away with only $10. Eileen Carlisle was asked to give a description of the scholarship program supported by our Rotary Club and awarded by the Foundation. Eileen stated that 10 scholarships totaling $24,000 were awarded this year. President Doug encourages us to get to know our fellow Rotarians. They often have a story that you probably don’t know. Case in point – Doug shared some information about a Rotarian and recognized that person for his life of good deed doing (I got that from the Wizard of Oz). Wally Lowry was awarded a bottle of fine wine for his collection. Don McMillan announced that he will be playing the 32nd annual Singing Christmas Tree concert at the First Presbyterian Church this weekend on Saturday and Sunday at 4:30 and 7pm. Ann Gospe reminded us that we will be going over to Vigil Lights after the meeting today for the Christmas party. Ginny Cannon reminded a few of us that we still need to pay for the poinsettias we ordered. Ted Wilmsen has 20 schools covered for our dictionary giveaway but still has 10 schools left. Please sign up! Kerrie Chambers has a few slots that still need to be covered this weekend for bell ringers for the Salvation Army. President Doug asked if anyone had anything to volunteer. Vicky Hardcastle announced that her son is engaged. Julia Parranto announced that she spent $2,700 for toys for the kids who be attending the Nutcracker. Six schools are participating this year. The program today was given by Amy Chestnut, owner of Sonoma Wool Company. Her program was a feature describing the history of the Pozzi Ranch, located near Valley Ford. Amy covered the history of the Pozzi ranch family that started in Occidental and then moved to Valley Ford on what’s known as a coastal prairie. She shared many photos of lambs and sheep. Amy described the sustainable practices that Joe Pozzi has developed over 40 years on Pozzi ranch where all lambs are grass fed and not sent off to be “finished” by being fed grain in feed lots. Pozzi ranch sells to many local restaurants directly from the ranch and also sells to Whole Foods and many regional store chains. The other aspect of the sheep industry Amy covered was her own Sonoma Wool Company business and the process of turning wool into fine clothing. She described the process of mobile sheep shearers who harvest the wool from the sheep and then the cleaning process which is done in Texas. Amy described the nature of wool including the properties that lend to its durability and warmth.